MARTINA SORAGNA was born in 1981. She is an actress, a clown and a puppeteer. Intrigued by the world of objects and puppets, in 2005 she began her theatre research at the European course of “Animation on black” – Theatre of Buratto of Milano. With this experience she discovered the potential of merging puppetry and corporal expression into theatre. From 2006 onwards, she learns circus skills, dance and clowning by attending the circus school Carampa and intensive workshops with Philip Gaulier, Jhonny Melville, Pierre Bylan and Leo Bassi. In 2009 she graduated at ATELIER DI TEATRO FISICO P. RADICE, establishing herself as a multidisciplinary artist. At the same time, she worked with her theatre company achieving a great experience performing in streets and festivals. Together with three puppetry companies from Piemonte she realized 350 puppets for the Stabile Theatre of Turin for the Italian-French “DEFILE’ PROJECT ”at “Biennal de la Dance 2014” of Lyon. Starting in 2015, she actively cooperates with the C.I.T.A. Project (Italian Artists Cooperative) as project manager creating the “Tadan” project which obtains a three-year recognition from Fus, thanks to its “support in research and artistic creation in street theatre”. In 2016, she cooperates with FNAS (National Federation of Street Performers) for the design and implementation of the “STRADARTS PROJECT“. In 2018, she becomes artistic director of the C.It.A. 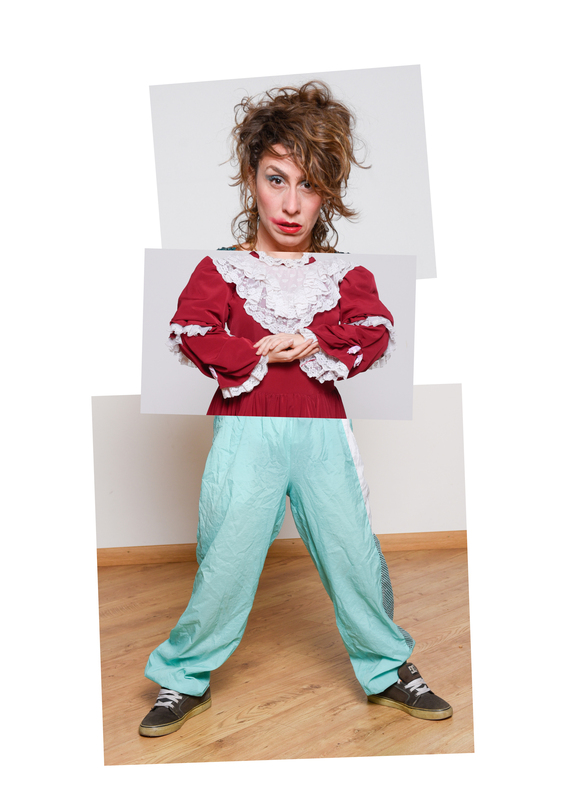 Cooperative and she is one of the actresses personally chosen by Arturo Brachetti for his GRAN VARIETA’ at Le Musichall theatre of Turin.